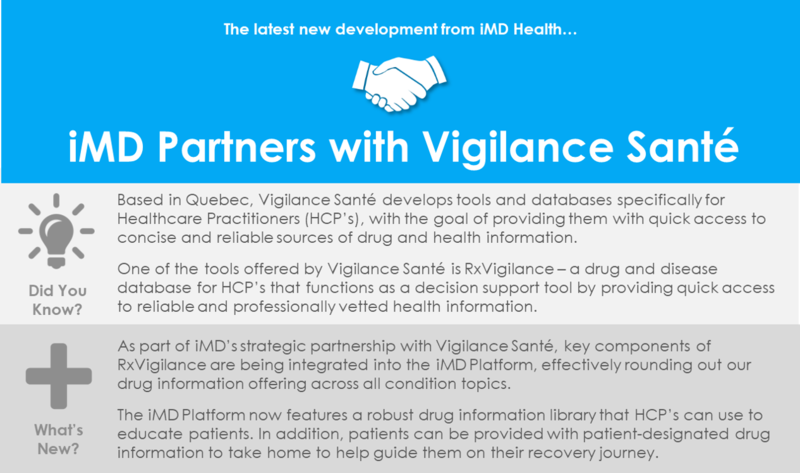 For more information about Vigilance Santé and our partnership, click here to read the official Press Release. Have an iMD account? 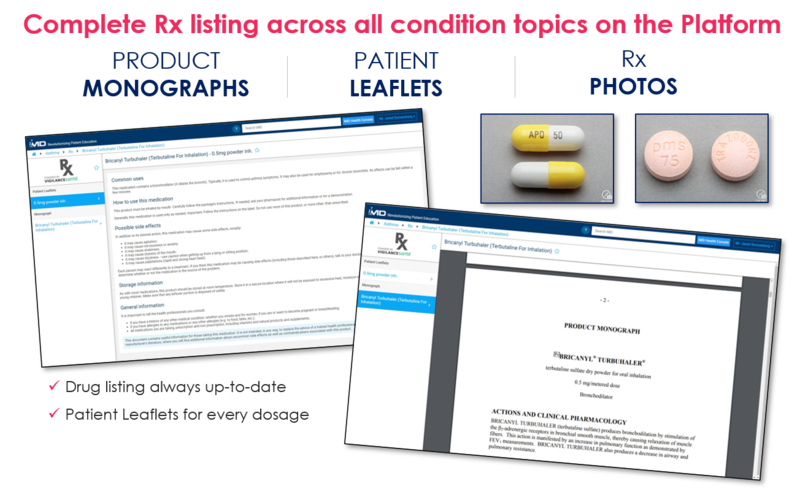 Sign in and click here to view a sample of iMD’s new drug listings. Don’t have an iMD account yet? Click here to try it FREE. Get even more from Vigilance Santé! If you are interested in learning more about Vigilance Santé’s product offerings, contact their team at info@vigilance.ca.